It saddens me to announce that over night the rains swept away the K-rails that were put in place to protect homes. 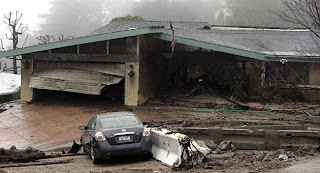 Heavy mud slides caused damage to 41 homes in La Cañada Flintridge and La Crescenta. As of now, 400-500 homes have been evacuated, and the flash flood warning is expected to stay in place. Many residents have said the mud river is about 3 ft. high. More rain is to be anticipated this week, so be prepared for more evacuation orders. For those residents that are not on the mandatory evacuation list, there is a shelter on Ocean View Blvd north of Foothill Blvd. For those residents that have been evacuated the American Red Cross has established an evacuation shelter at La Cañada Flintridge High School. 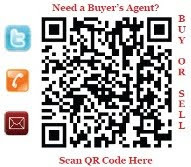 Click here to see the mandatory home evacuation list for La Cañada Flintridge and La Crescenta. For more information on announcements and safety preparedness go to CARE.